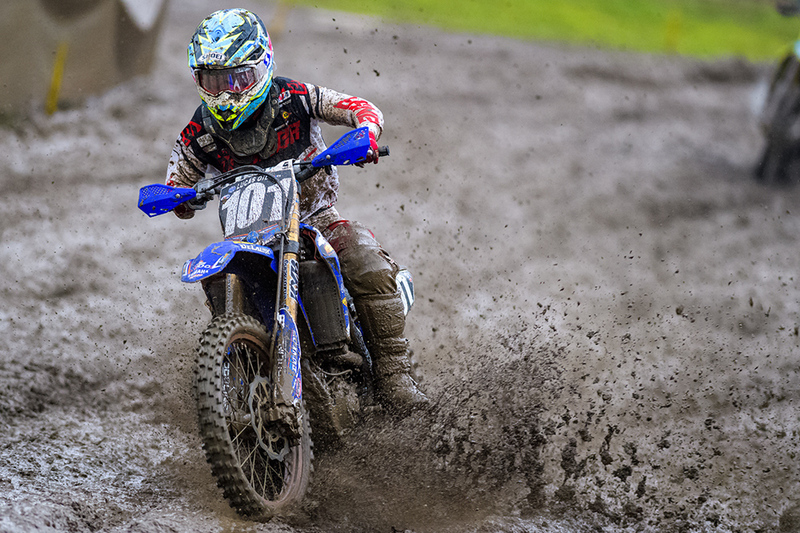 Watanabe’s Race Weekend Over Before it Starts with Treacherous Wet Conditions | Rd.12 Ironman | Yusuke Watanabe’s AMA MX Challenge | Yamaha Motor Co., Ltd. 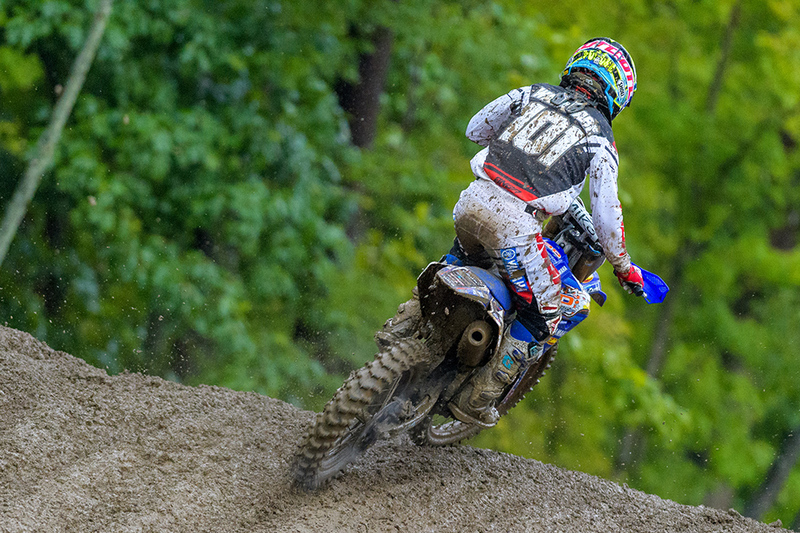 The final round of the twelve race series in Crawfordsville, Indiana had very heavy rain in the morning, and the practice schedule was changed due to the very wet track conditions. Rather than two 15 minute practice sessions, it was changed to only having one 20 minute practice session, and no consolation race was to be held for those who did not make the top 40 in timed practice. This change proved decisive for Watanabe. 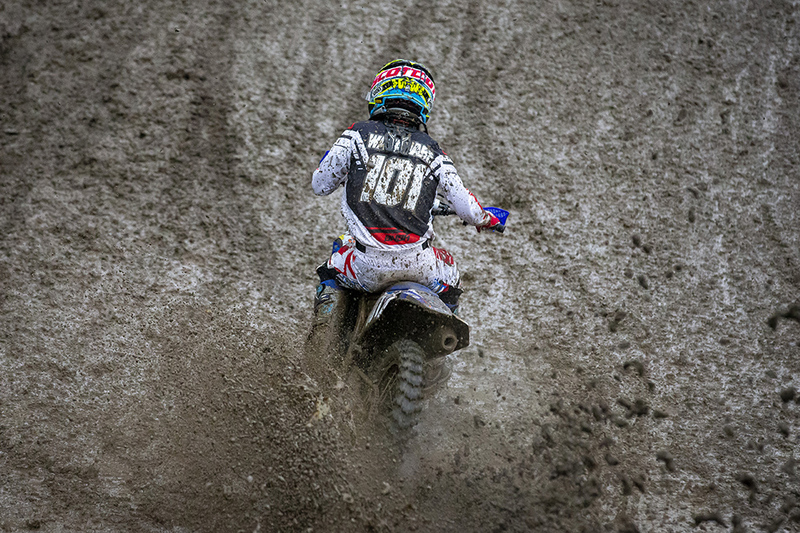 Hopes were high for Watanabe to set a quick qualifying time as he is normally very strong in the mud. The first lap is not timed and is intended for the riders to get used to the course before they try to set fast laps. 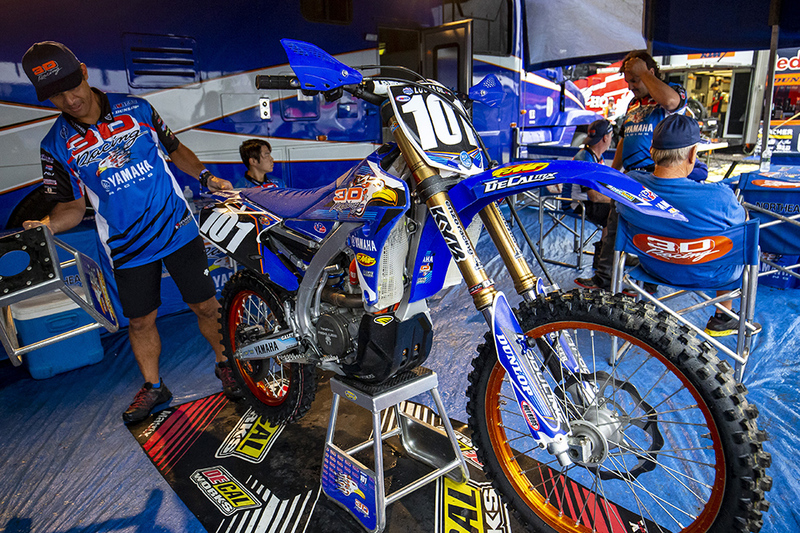 Watanabe came by the mechanics area on his this first lap and was riding well. The problem was though, that he didn’t come back around after that. His bike had stopped running due to excess water. When the team found him, he was stopped on the side of the track kicking the bike to try to get it to start up. One of this mechanics took over kicking and the engine would come to life only to misfire and stop again. The practice ended before they could get the bike running. That meant that Yusuke did not register even a single lap time. That, combined with the change to not having a consolation race, meant that Watanabe’s day was finished. There were several other riders in the same situation. One of Watanabe’s rivals had similar problems with his machine and failed to log any times, but he was allowed to race under a provision stating that any rider in the top 10 in points will be put into the 40 rider field even if he fails to qualify under the qualification times. 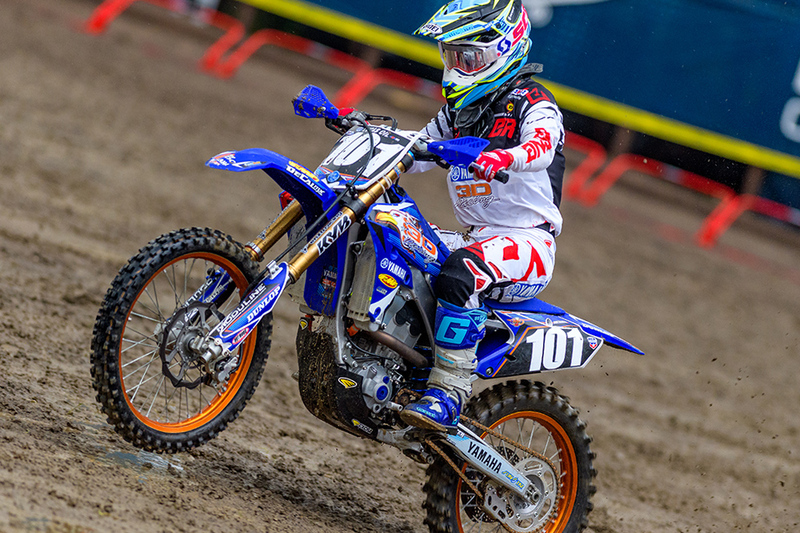 In fact, of the 20 plus factory riders in the 250 class, only 11 made it into the final 40. This situation was very frustrating for many riders.